In The American Dream, Quantified at Last, David Leonhardt in The New York Times makes a despairing case for a perfect Onion headline: American Dream Ends When Nation Wakes Up. Like so much else the Times correctly tries to do, the piece issues a wake-up call. It is also typical of the Times’ tendency to look at every big social issue through the lenses of industrial age norms, giving us lots of stats and opinions from Serious Sources, and offering policy-based remedies (e.g. “help more middle- and low-income children acquire the skills that lead to good-paying jobs”). 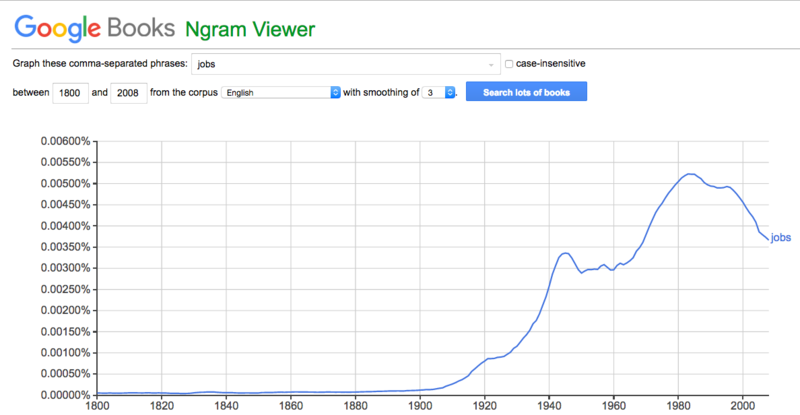 I’m not even sure “work” was all the Tanners and Smiths of the world did. Maybe it was what we now call “a living,” in an almost literal sense. Whatever it was, it involved technologies: tools they shaped, and which also shaped them. (Source.) Yet for all the ways those ancestors were confined and defined by the kind of work they did, they were also very ingenious in coping with and plying those same technologies. Anyone who has spent much time on a farm, or in any kind of hardscrabble existence, knows how inventive people can be with the few means they have to operate in the world. This is one reason why I have trouble with all the predictions of, for example, robot and AI take-overs of most or all work. For all the degrees to which humans are defined and limited by the tools that make them, humans are also highly ingenious. They find new ways to make new work for themselves and others. This is why I’d like to see more thought given to how ingenuity shows up and plays out. And not just more hand-wringing over awful futures that seem to be linear progressions out of industrial age (or dawn-of-digital age) framings and norms. 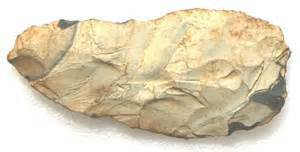 Note: the spear point above is one I found in a tilled field north of Chapel Hill, NC. It is now at the Alamance County Historical Museum.